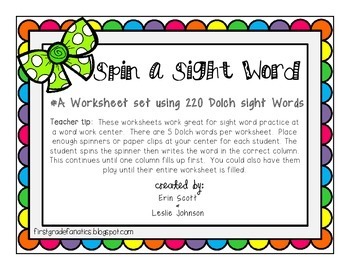 This is a worksheet set using all 220 first grade sight Words. Blank worksheets are also provided for you to write your own words. 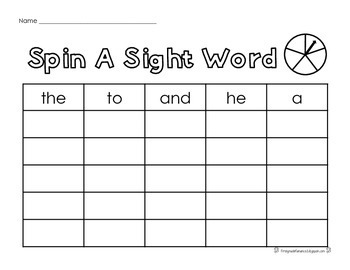 These worksheets work great for sight word practice at a word work center. Teacher Tip:There are 5 Dolch words per worksheet. 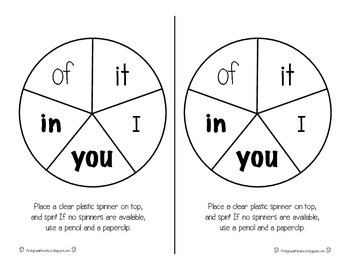 Place enough spinners or paper clips at your center for each student. 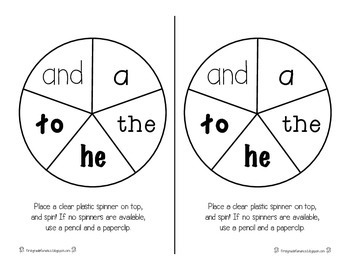 The student spins the spinner then writes the word in the correct column. This continues until one column fills up first. You could also have them play until their entire worksheet is filled.